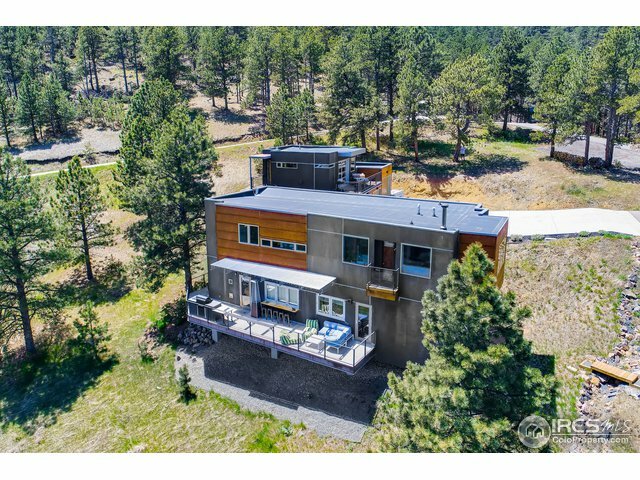 Truly one of a kind, this zen-like oasis offers an artfully curated home & separate guest suite meticulously built on over 36 acres of meadows & evergreens. Custom details & imported finishes abound with endless views, including city twilights from every window. The contemporary design includes nanawalls & windows that "erase" to bring the outside in - perfect for entertaining as well as Solar PV & Geothermal radiant heat & cooling. Secluded mountain living yet conveniently 12 mins. to downtown. Driving Directions: Go up Lee Hill Rd 3.5 miles, turn right onto Reed Ranch Rd, continue 1.4 miles to gate (end of road), driveway is to the left. This is a gated community! Gate code must be obtained through CSS.